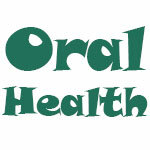 FRIDAY, Feb. 6, 2015 (HealthDay News) -- Taking care of your gums plays an important role in protecting your teeth. Gum disease and tooth decay cause about 90 percent of tooth loss, the American Dental Association says. "The good news is that gum disease is largely preventable through regular brushing, flossing and dental cleanings. The bad news is that not many people like flossing their teeth, and many brush improperly," Dr. Martin Hogan, a dental surgeon at Loyola University Medical Center in Maywood, Ill., said in a university news release. A buildup of bacteria can cause gums to recede and become inflamed or infected. "All particles such as food and drink that enter the mouth can potentially lead to inflammation and decay if they are not removed properly. Particles often are trapped between the teeth and gum, that's why we use toothbrushes to sweep out the buildup," Hogan said. Flossing is important too. But, many people find it awkward. "Individual picks with single use dental floss are easy to maneuver inside the mouth and are inexpensive. Many toothbrushes have a rubber pick at the end. A swish of mouthwash also is good to remove extra debris trapped in teeth," Hogan said. Still, nothing replaces brushing, according to Hogan. And, the consequences of not taking care of your teeth aren't pleasant. "Dental work can be expensive and takes time away from work and other activities. This is why we continue to stress preventative measures such as brushing, flossing and routine dental visits, in hopes of avoiding costly and time-consuming procedures," he concluded.